Disclaimer: The following is the opinion of the author and does not represent the opinion of Operation Rainfall as a whole. 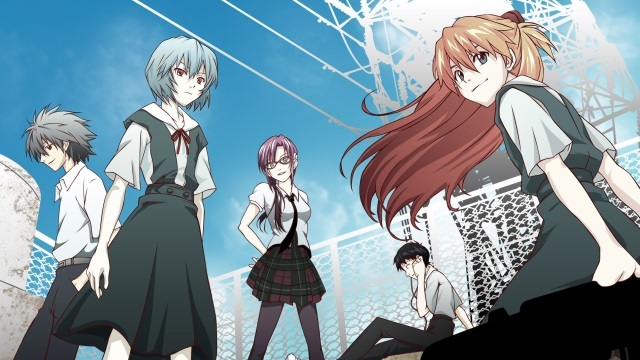 When I originally watched Evangelion 2.0: You Can (Not) Advance in theaters, I remember literally being on the edge of my seat until the last post-credits scene. Despite treading familiar ground, the film was able to develop Evangelion in ways that I didn’t expect, especially the character development of Shinji Ikari. By the end of the credits, I was pumped to see the next movie in the four-part Rebuild of Evangelion series. However, for the sequel, Evangelion 3.0: You Can (Not) Redo, I remember feeling nothing, neither impressed nor filled with hatred. I am fine with changes in a reboot or remake, because, really, if I want to watch the original, I will just watch the original. But for the third film in a four-part series to basically ignore the character development from the last movie and start from scratch felt silly. Furthermore, I felt like I had skipped over a movie (especially after rewatching the preview at the end of 2.0). Part of me doesn’t truly despise it; the animation is gorgeous and the soundtrack is fantastic. However, as more and more time passes (the movie premiered in Japan in 2012), the more frustrated I get thinking about the film. Hideaki Anno, creator of the Evangelion series, previously joked that four to six years might pass before we get the final film, but now that joke is becoming reality. First of all, I would like to apologize. I have kept you waiting for the new Evangelion for a very, very long time. I am deeply sorry. To me, Evangelion is my soul; it is a work that scrapes off bits of my soul. The previous work, Evangelion Shin Gekijōban: Q [Evangelion: 3.0 You Can (Not) Redo], scraped me down until I wasn’t able to make anything anymore. This statement comes from an interview about Godzilla: Resurgence (Shin Godzilla), which Mr. Anno wrote the screenplay. With production finished, Hideaki Anno finally feels up to returning to Evangelion. I feel ashamed for my fanboy rage. 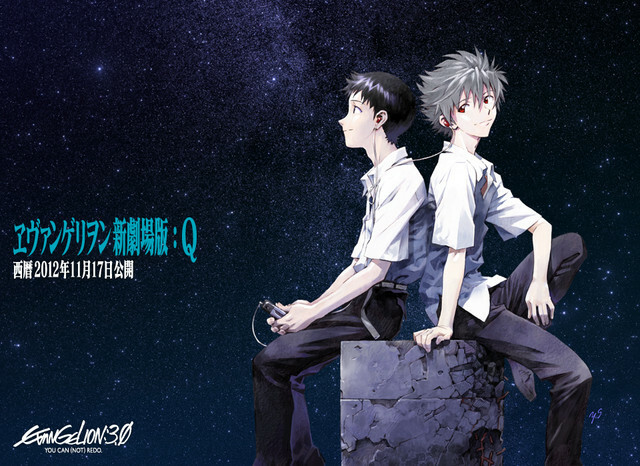 Evangelion has been important to me ever since I was in middle school, but for Hideaki Anno, Evangelion is his life. The original TV series allowed Mr. Anno to explore his own depression in a way that anyone could relate. With audience reactions to 3.0 being mixed, it’s no surprise motivation was knocked out of him. Does that excuse the film for its faults? No, but a creator should be able to do whatever he pleases with his creation. It’s reminiscent of the controversy surrounding The End of Evangelion; you either loved the film or completely despised it. However, I feel that trying to appease an audience instead of sticking to the creator’s vision completely contradicts artistic integrity. 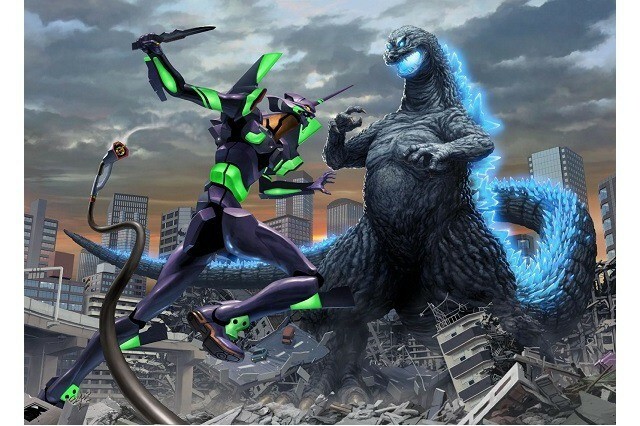 As much as I hate the wait, if working on Godzilla meant that Anno would actually return to Evangelion and not give up is fine with me. Also, I wouldn’t want him to be forced to finish the Rebuild of Evangelion in a way that feels like joyless work to him. Though I’m still unsatisfied with 3.0, I hold onto the hope that the last film, Evangelion 3.0 + 1.0, will put everything into perspective.